Living Sq. Ft. : 1728 s.f. Total Sq. Ft. : 2314 s.f. 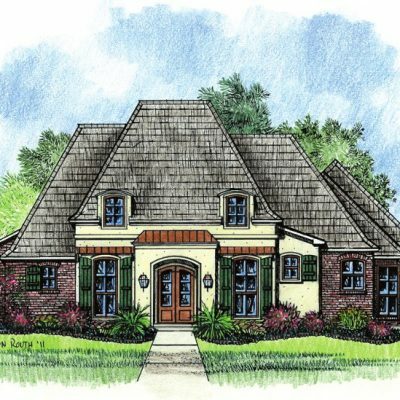 A Louisiana Garden style Zero Lot home plan that has a good layout. 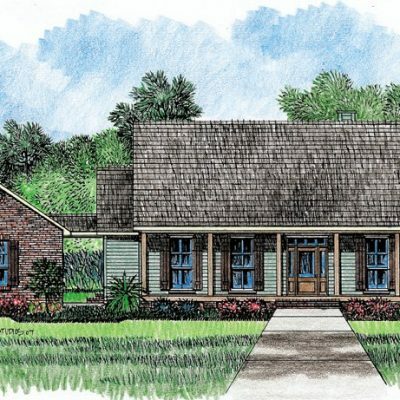 The home plan features three bedrooms with the two lesser rooms being at the front of the home and the master isolated toward the back and on the opposite side. 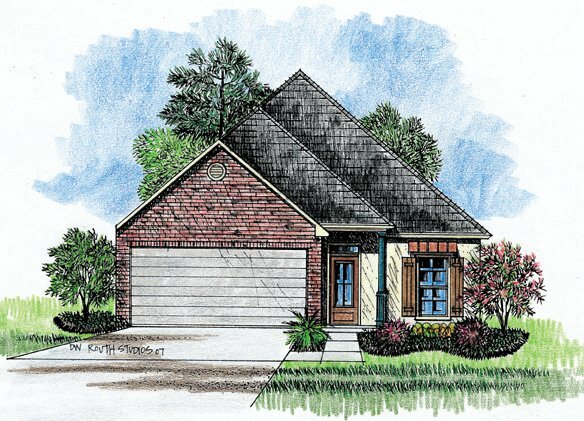 In the master you will find plenty of room in the 14’ x over 16’ space. 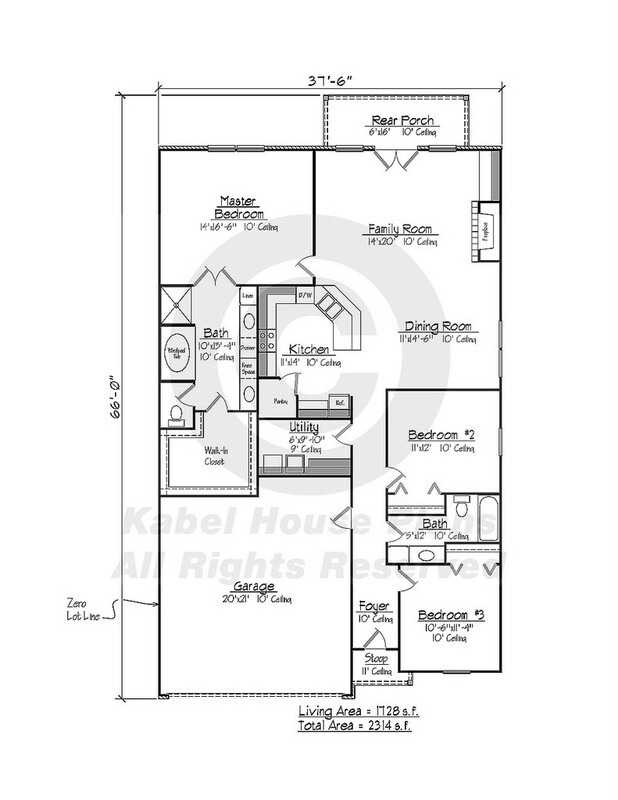 Your master bath is well sized and gives way to your spacious master walk in closet. In the main living area, you will find everything to be open, making the space seem larger than it is. The kitchen overlooks the family room and dining room. 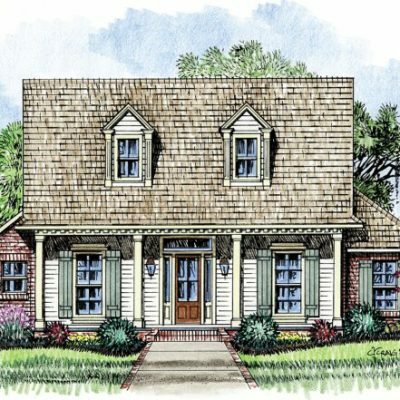 Your family room has a homey fireplace and French doors that open to you rear covered porch. 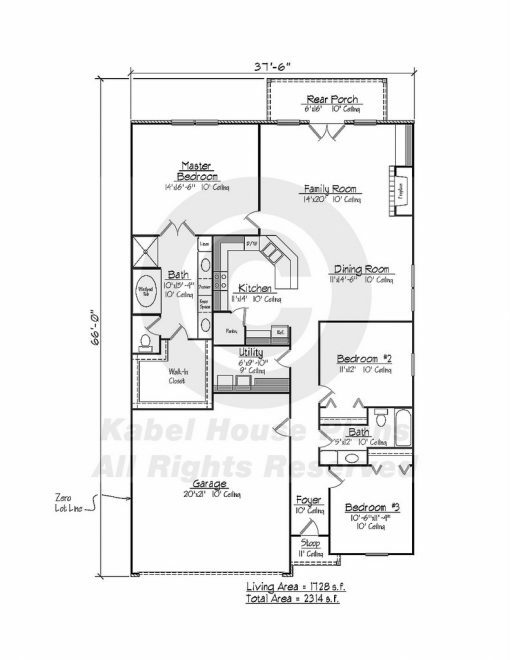 Lastly, the house has a forward facing 2 car garage, that you will find easy to get your cars in and out of. 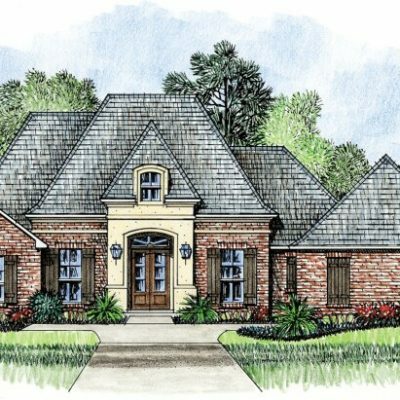 The Camdon Louisiana Garden style zero lot line house plan is a good choice for your next home.